The Independent Media Arts Alliance (IMAA) is a member-driven non-profit national organization working to advance and strengthen the media arts community in Canada. Representing over 90 independent film, video, audio, and new media production, distribution, and exhibition organizations in all parts of the country, the IMAA serves over 16,000 independent media artists and cultural workers. Lisa Thériault is an artist, arts worker, and curator of Acadian/Jersey/Irish decent. She is the Interim National Director of the Independent Media Arts Alliance (IMAA), having worked in various roles at the organization since 2015. Her art practice uses humour to critically look at the role of industry in our society, while drawing from personal and regional histories. She is the co-founder of the online project space Closet Gallery and has exhibited and curated works at venues including Galerie Sans Nom (Moncton, NB), Owens Art Gallery (Sackville, NB), Struts Gallery & Faucet Media Arts Centre (Sackville, NB), Saint John Arts Centre (Saint John, NB), and small town market gallery (Charlottetown, PE). Originally from Charlottetown, PE, she is currently based in Montreal, QC. Mercedes Pacho is a human rights activist and an arts advocate based in Montreal, Canada. Originally from France and Spain, she has been working for the UN in Senegal and for the French Embassy in Israël. With a special interest in media arts, she has participated in numerous activities across Canada since 2012, acting as the Director of Communications and Development for the Independent Media Arts Alliance (IMAA). She is currently collaborating with The National Indigenous Media Arts Coalition (NIMAC) to organize the National Indigenous Media Arts Gathering, “Listen, Witness, Transmit” Summit that will take place June 12-15, 2018 in Saskatoon. She is also passionately involved in IMAASource that ensures free and open resources for art organizations and Perspectives, a new series of online written reflections from the Canadian media arts community. 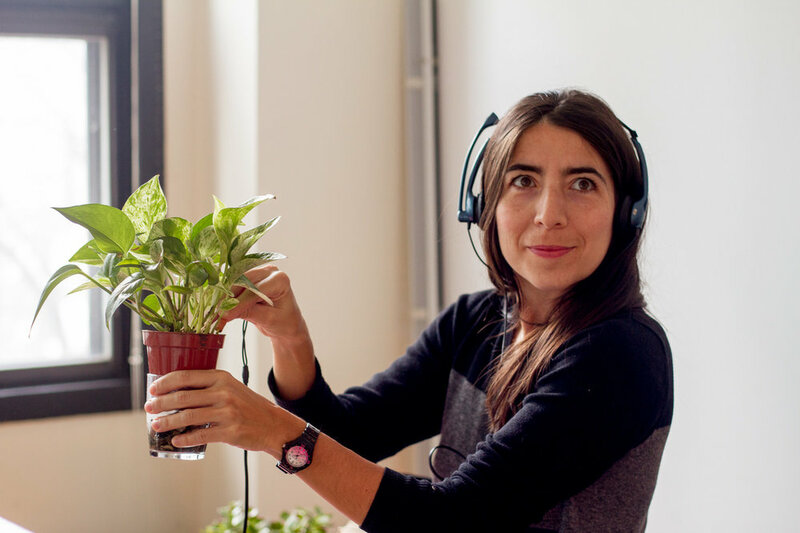 She holds a Master’s degree from Paris VIII University/CUNY Universities in New York and followed the EnsadLab Research Program with a focus on memory and interactivity.